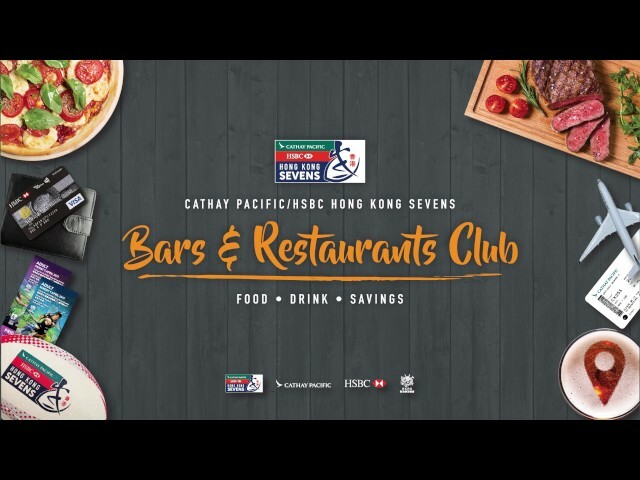 CALLING ALL FOOD LOVERS, enjoy exclusive dining and drinking discounts with the CATHAY PACIFIC/HSBC HONG KONG SEVENS BARS & RESTAURANTS CLUB. For 17 days leading into the main event, from Friday 24 March through to the last day on Sunday 9 April, enjoy fantastic discounts on over 100 bars & restaurants on the Hong Kong Island; get even more when you show your Cathay Pacific boarding pass or pay with HSBC credit cards. Search “HKSEVENS” on both iOS and Android from 13th of March, 2017 and start saving!